During the era now regarded as the Golden Age of Radio, performers like Jack Benny and Orson Welles ruled the radio airwaves years before television became the norm. Prior to the creation of today's widely accessible digital audio and video and streaming media, physical phonographic recordings of drum corps performances were the only way that fans of the 50's, 60's and 70's could relive their favorite performances again and again. Thanks to a gigantic and growing collection of archived performances available through DCI strategic partner Drum Corps World, today we take a listen back to this "Golden Age of Drum Corps" when G-keyed piston-rotor bugles, marching timpani and close-order military drill formations graced football fields across America. Working from the original archives of drum corps audio giants like Stetson D. Richmond, Alf Wateska and Ed Burke, each of whom sat behind the volume dials and reel-to-reel tapes of hundreds of local drum corps shows across the country, recording engineer and Drum Corps World reporter Ken Mason has worked tirelessly to preserve and painstakingly restore these memorable productions in digital form. To date, Mason has successfully transferred more than a quarter of some 4,000 that are currently available to compact disc. From a list of albums which represents 464 different junior and senior corps at more than 228 competitions between 1950 and 1980, Mason shares this "Top 12" list of some of his favorite "must listens" from drum corps' formative years. Long before the development of the front ensemble percussion area, field performances were recorded with microphones pretty close to the front sideline. While this close-mic technique provided many special moments, it was a tricky matter to capture the full impact and balance of certain corps. One such corps was the Boston Crusaders of the mid-1960s. Ed Burke made recordings with exceptional presence and balance around this time, and at a late-season contest in Delaware, he caught Boston's off-the-line climax in full glory. Ed Burke also recorded the finals of the 1968 VFW Nationals in similarly delicious quality. Since he wasn't selling recordings or getting them mass-produced at the time, his master tapes were stored away unknown to us for 40 years while we settled for the Fleetwood Records recording of the show, which was not up to their usual sonic standard and was missing the first few minutes of the Norwood Park Imperials. Here we listen to a clip of St. Joseph's of Batavia, an East Coast unit from New York. For the best of really "old-school" drum corps, both from the standpoint of corps selection and recording state-of-the-art for that time, I regularly refer back to the 1952 recordings from the American Legion Nationals and the Dream Contest. It may be hard to believe that 30 years before the Blue Devils wowed crowds with their snare line accelerando, the Skokie Indians were performing the same trick! Choice field recordings are rare in 1961, when Fleetwood Records went on a standstill-recording binge. Recordings of senior corps from then are especially hard to come by. The "Cavalcade of Champions" CD presents numerous top senior corps like the Caballeros, Skyliners, Reading Buccaneers, Archer-Epler Musketeers, Guelph Royalaires and Reilly Raiders in their late-season form. They were captured in lively fidelity by Alf Wateska. No trip through the golden age of drum corps is complete without experiencing the Interstatesmen at some point. Loud and proud, the I-men were a force to be reckoned with. No recording reflects this better than the one from Baltimore's March of Champions on July 13, 1963. Recording engineers typically worked the knobs while recording to reduce the wide dynamic range of drum corps to within the limitations of the prevailing analog technology. Well, Stetson Richmond must have been scared half to death by this corps, and it took some work to restore the proper dynamics of this performance, but it was well worth the result. The 1966 VFW Nationals were well known for a good old-fashioned "sit-in." The I.C. Reveries of Revere, Mass., protested a penalty ruling that added a 13th corps to the usual 12-corps finals (they were 14th). The corps suited up, took the starting line and waited for as long as it would take to be permitted to perform. After standing (and sitting) for some time, they got their wish. For a five-corps senior contest, I'm not sure that you could pick a better lineup than the 1960 Dream. Fleetwood Records recorded this contest, but never put it to albums. Fortunately, Stetson Richmond recorded it too, and he was getting particularly good results. The audio of the Princemen from Melrose, Mass. is most notable, as there is nowhere else to find a proper recording of them in action that year. In the earliest days of Drum Corps Associates, there was a brief time when half of the top senior corps were a part of DCA and half were not. This presented a problem in 1964, when a difference of opinion over judge selection forced contests to choose DCA vs. non-DCA. Top corps like the Hawthorne Caballeros had to pull out of the World Open on short notice, just after the Dream Contest LPs went to press without them selected. That makes the Stetson Richmond recording of the '64 Cabs a collector's item. The 1971 Dream is on my radar for more than one reason. For starters, it includes the only available recording of Blessed Sacrament's show in its final form. You also have a performance by the Rochester Crusaders that was ahead of its time in terms of brass musicality. The 1955 Hawthorne Caballeros performance at the American Legion Nationals is a historic recording. The show was held in Miami, and as we well know, Florida gets its share of rain. Halfway through Hawthorne's show, the skies opened up and it poured. You can hear the raindrops pounding the mics, but the corps (and the recording!) continue as if nothing is amiss. The Stetson Richmond/Alf Wateska collection contains thousands of recordings from all over the country. Drum Corps World's series "The Beat Goes On," taps into this rich depth and variety of corps. Take the 1970 Long Island Circuit Championship for an example. The Wynn Center Toppers of Brooklyn were in peak form and looking to defend their 1968 and 1969 titles. Meanwhile, the Long Island Kingsmen, bolstered by experienced marchers from the now-inactive Golden Grenadiers, had a good-sized and capable corps. Since the scores were not published, I still don't know who won this contest, and two different Kingsmen alumni sources came up with two different answers—one vote for the Kingsmen, one for the Toppers. Another welcome example of the deep selection in "The Beat Goes On" series is the 1972 Garden State Circuit Championship—arguably the event's finest ever. Sixteen corps competed, with the top five title contenders in a season-long free-for-all. The Monarchs of Wayne, N.J. were doing a theme show on "Black Magic" decades before theme shows became the rage with drum corps. I am particularly fond of the Riversiders of Brooklyn, N.Y., with their dramatic use of dynamics and a drum line that threw down on numerous occasions. This archive of hundreds of historic drum corps recordings spanning the 1950s, '60s, '70s and '80s is available to purchase on individual albums through DrumCorpsWorld.com. Explore a complete list of available titles in this 228-CD collection. 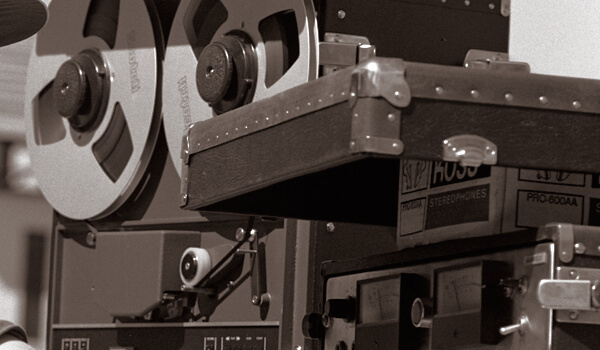 Learn more about historic video and audio offerings from Drum Corps World.